Runway24 Modular System: a limited edition, Modular Display Sets. 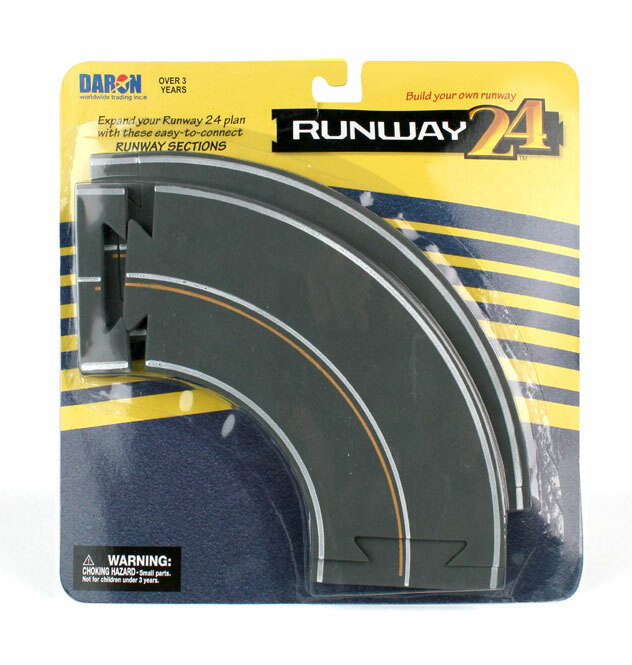 Runway Sections can be used as Main Runway or other Taxiway Sectional Sets of two (2) Curved Sections, for use with die-cast or plastic models in a 1/400th up to 1/600th scales. These display sections are constructed of molded polyurethane foam parts. This product is available beginning in June, 2013. Runway24 Modular System: a limited edition, Modular Display Sets. 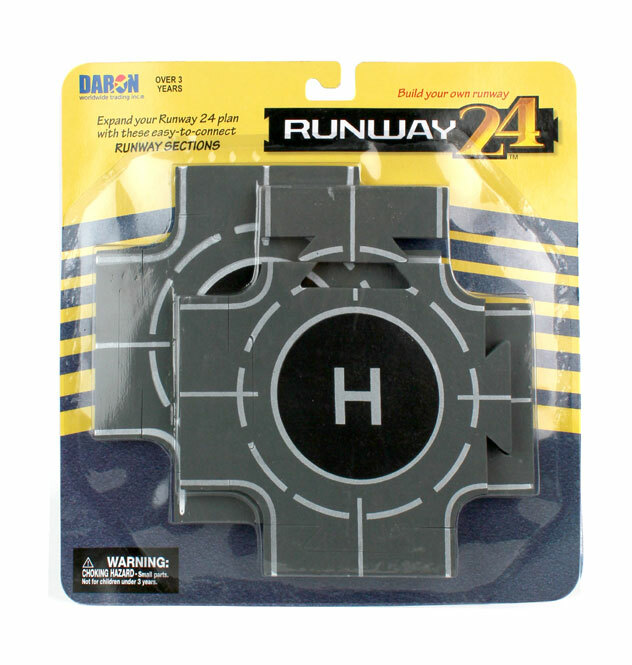 Runway Sections can be used as Main Runway or other Taxiway Sectional Sets of two (2) Intersection Sections, for use with die-cast or plastic models in a 1/400th up to 1/600th scales. These display sections are constructed of molded polyurethane foam parts. This product is available beginning in June, 2013. Runway24 Modular System: a limited edition, Modular Display Sets. Runway Sections can be used as Main Runway or other Taxiway Sectional Sets of three (3) Straight Sections, for use with die-cast or plastic models in a 1/400th up to 1/600th scales. These display sections are constructed of molded polyurethane foam parts. This product is available beginning in June, 2013. 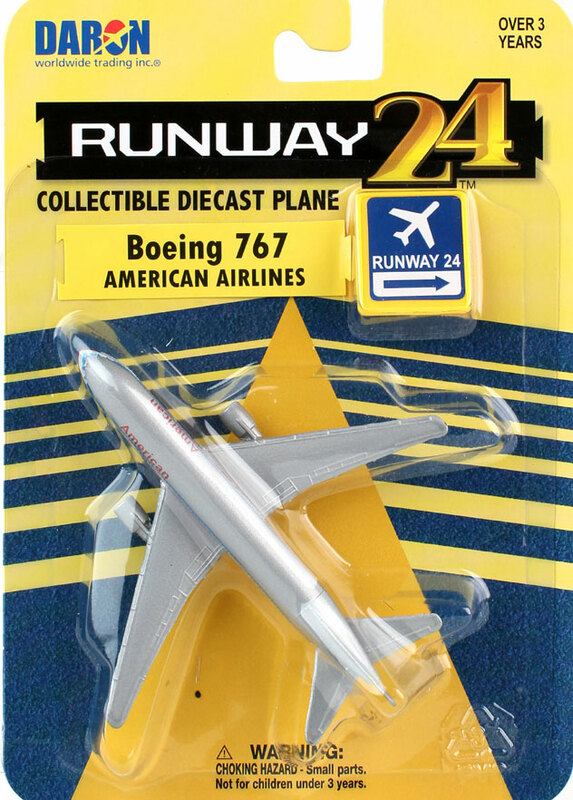 Runway24 Modular System: a limited edition, one die-cast airliner model of a Boeing Model in the American Airlines NEW colors. This is a SINGLE model which can be used together with the Modular Display Runway System Main Runway or other Taxiway Sectional Sets from Runway24, (sold separately). This model is constructed of die-cast metal with some plastic parts. This product is available beginning in May, 2014. Runway24 Modular System: a limited edition, Modular Display Runway Sections, with one die-cast model airplane of a Beechcraft Bonanza. This set includes one die-cast model, plus one section of "Straight" track which can be used as Main Runway or other Taxiway Sectional Sets from Runway24, for use with die-cast or plastic models in a 1/400th up to 1/600th scales. These display sections are constructed of molded polyurethane foam parts. This product is available beginning in March, 2014. 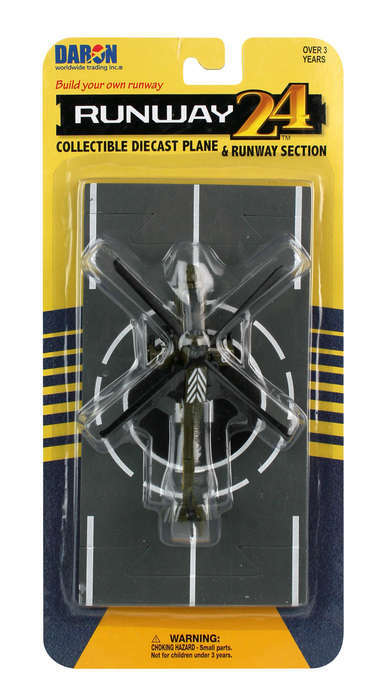 Runway24 Modular System: a limited edition, Modular Display Runway Sections, with one die-cast model airplane of a Boeing AH-64 Apache Helicopter. This set includes one die-cast model, plus one section of "Straight" track which may be used as�Main Runway or other Taxiway Sectional Sets from Runway24, for use with die-cast or plastic models in a 1/400th� up to 1/600th scales. These display sections are constructed of molded polyurethane foam parts. This product is available beginning in February, 2016. 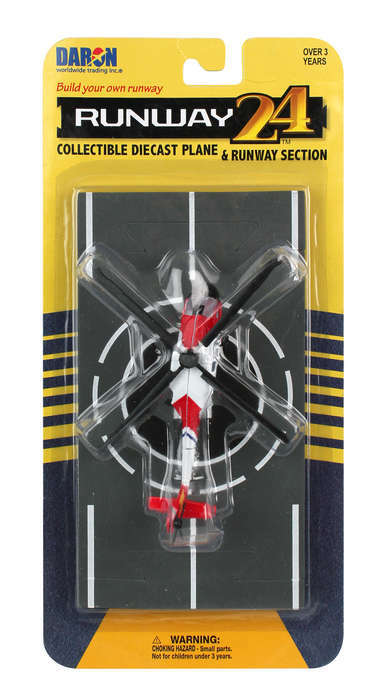 Runway24 Modular System: a limited edition, Modular Display Runway Sections, with one die-cast model airplane of a Boeing AH-64 Apache Helicopter . 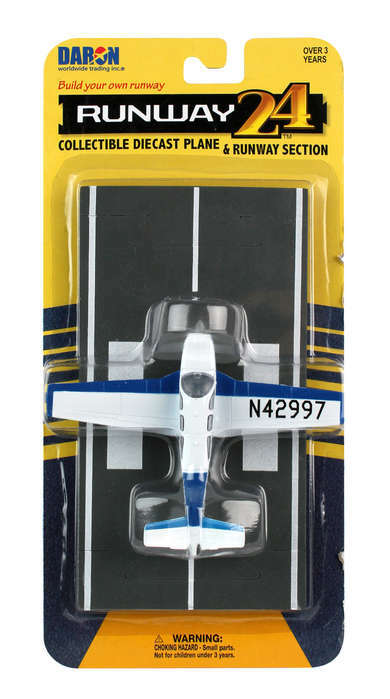 Runway24 Modular System: a limited edition, one die-cast airliner model of a Cessna model in the Blue & White Colors. This is a SINGLE model which can be used together with the Modular Display Runway System Main Runway or other Taxiway Sectional Sets from Runway24, (sold separately). This model is constructed of die-cast metal with some plastic parts. This product is available beginning in April, 2016. 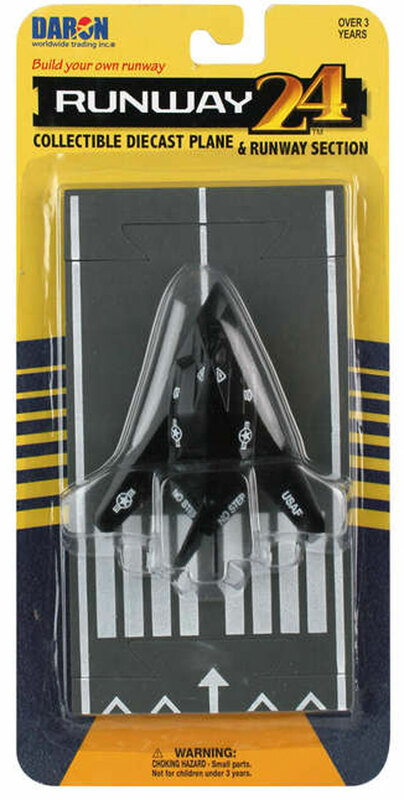 Runway24 Modular System: a limited edition, one die-cast military model of a Nighthawk Stealth Jet model in the USAF – Air Force Stealth Colors. This is a SINGLE model which can be used together with the Modular Display Runway System Main Runway or other Taxiway Sectional Sets from Runway24, (sold separately). This model is constructed of die-cast metal with some plastic parts. This product is available beginning in April, 2016. 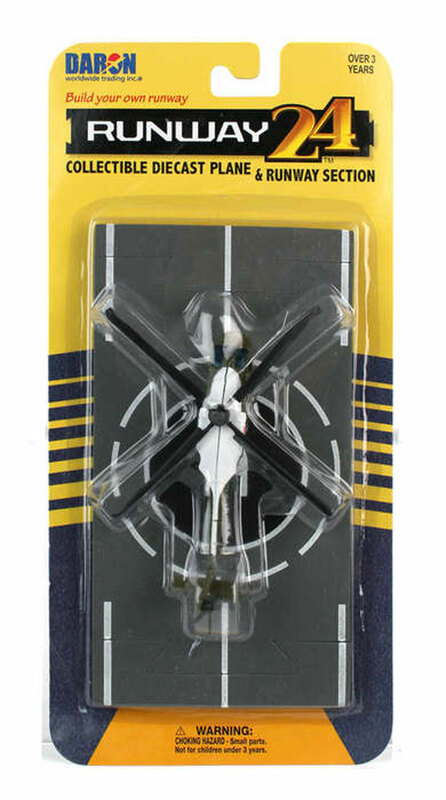 Runway24 Modular System: a limited edition, one die-cast military model of a Nighthawk Stealth Jet model in the USAF – Air Force Stealth Colors. 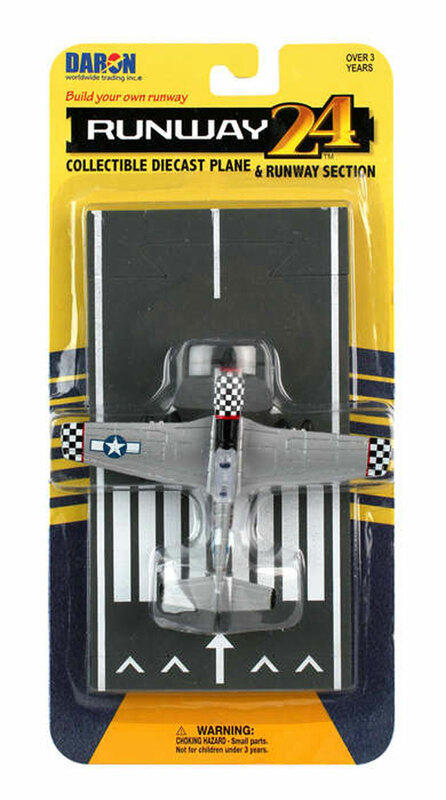 Runway24 Modular System: a limited edition, Modular Display Runway Sections, with one die-cast model airplane of a North American P-51 Mustang in the USAF - Air Force Std. Silver Colors. This set includes one die-cast model, plus one section of "Straight" track which may be used as Main Runway or other Taxiway Sectional Sets from Runway24, for use with die-cast or plastic models in a 1/400th up to 1/600th scales. These display sections are constructed of molded polyurethane foam parts. This product is available beginning in February, 2016. 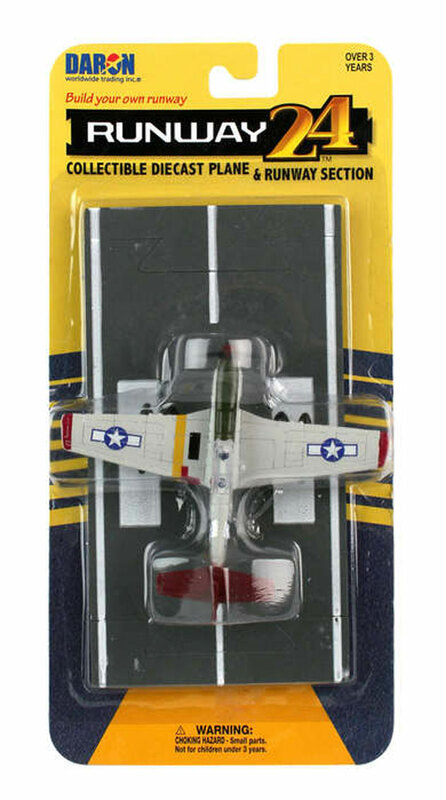 Runway24 Modular System: a limited edition, Modular Display Runway Sections, with one die-cast model airplane of a North American P-51 Mustang in the USAF � Air Force Tuskegee Airmen Colors. 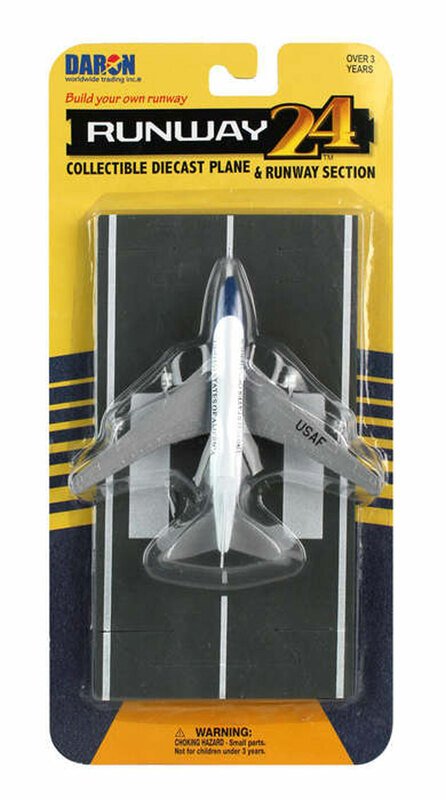 This set includes one die-cast model, plus one section of "Straight" track which may be used as Main Runway or other Taxiway Sectional Sets from Runway24, for use with die-cast or plastic models in a 1/400th �up to 1/600th scales. These display sections are constructed of molded polyurethane foam parts. This product is available beginning in February, 2016. Runway24 Modular System: a limited edition, Modular Display Runway Sections, with one die-cast model airplane of a Private LearJet. 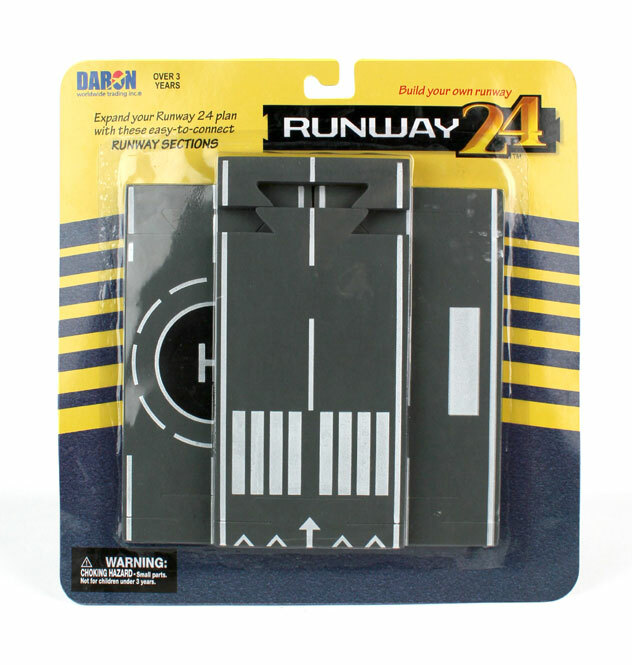 This set can be used as Main Runway or other Taxiway Sectional Sets from Runway24, for use with die-cast or plastic models in a 1/400th up to 1/600th scales. These display sections are constructed of molded polyurethane foam parts. This product is available beginning in March, 2014. Runway24 Modular System: a limited edition, Modular Display Runway Sections, with one die-cast model airplane of a Boeing B747-200 (VC-25) in the USAF � Air Force One Executive Colors. This set includes one die-cast model, plus one section of "Straight" track which may be used as�Main Runway or other Taxiway Sectional Sets from Runway24, for use with die-cast or plastic models in a 1/400th up to 1/600th scales. These display sections are constructed of molded polyurethane foam parts. This product is available beginning in February, 2016. Runway24 Modular System: a limited edition, Modular Display Runway Sections, with one die-cast model airplane of a USCG - Coast Guard Helicopter. 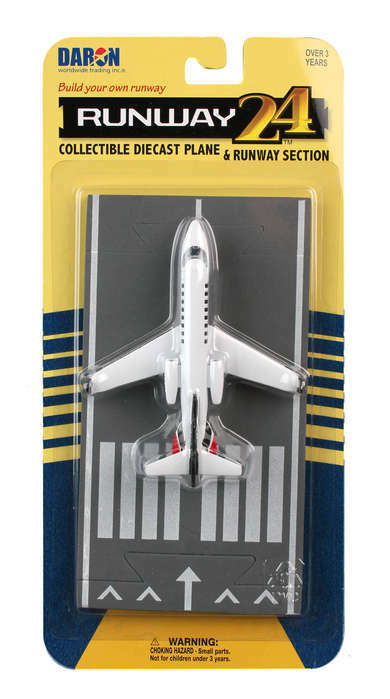 This set includes one die-cast model, plus one section of "Straight" track which may be used as, Main Runway or other Taxiway Sectional Sets from Runway24, for use with die-cast or plastic models in a 1/400th up to 1/600th scales. These display sections are constructed of molded polyurethane foam parts. This product is available beginning in March, 2014. Runway24 Modular System: a limited edition, Modular Display Runway Sections, with one die-cast model airplane of a USCG - Coast Guard Helicopter . Runway24 Modular System: a limited edition, one die-cast airliner model of a Sikorsky Sea King Helicopter in the USMC � Marine One Executive Colors.� For use with the Modular Display Runway System. This set includes one die-cast model, plus one section of "Straight" track which can be used as Main Runway or other Taxiway Sectional Sets from Runway24, for use with die-cast or plastic models in a 1/400th up to 1/600th scales. These display sections are constructed of molded polyurethane foam parts.� This product is available beginning in February, 2016.